If you are moving to a job which requires a different residency status from your current one, you will need to file a change of status application with immigration. 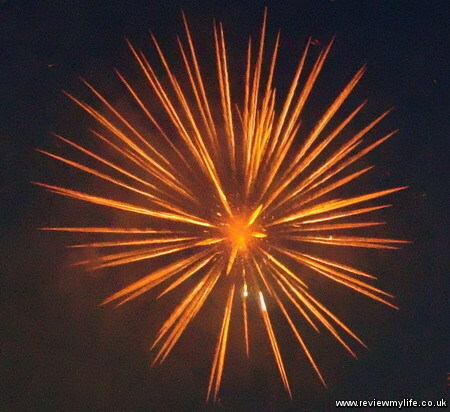 This post talks about my experience of changing my ‘designated activities’ status (working holiday visa) to a ‘specialist in humanities / international services’ status. 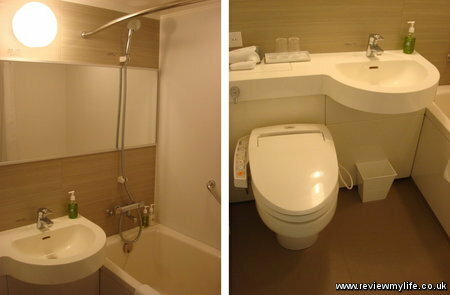 There is also information about extending your period of stay. The most common changes for typical readers of my site would be ‘instructor’ to ‘specialist in humanities’ (or vise versa), ‘designated activities’ to either ‘instructor’ or ‘specialist in humanities (for WHV people who are staying longer), and ‘temporary visitor’ status to either ‘instructor’ or ‘specialist in humanities’. By far the most common one will be changing between ‘instructor’ and ‘specialist in humanities’ as the English teaching statuses are split into two. If you work at public school you will have an ‘instructor’ status, and if you work at a private conversation company (e.g. an eikaiwa) you will have a ‘specialist in humanities’. Although the post is mainly about changing status, I’ll include information about making period of stay extension applications as that follows a similar process. To change your residence status you will first need a company willing to sponsor the change. In other words you will need to have a job offer from a company. You will then need the correct paper work. You official process for a change of status of residence is detailed on the immigration website here, and you can also find the extension process details here. If you look at the link in this section for both the change of status and extension, you’ll see that the main difference between the two is that for an extension you have to provide ‘Documents certifying an annual income and tax payment’ whereas for the change of status you don’t. This makes the change of status simpler for you as you don’t have to go to city hall to get those tax certificates. 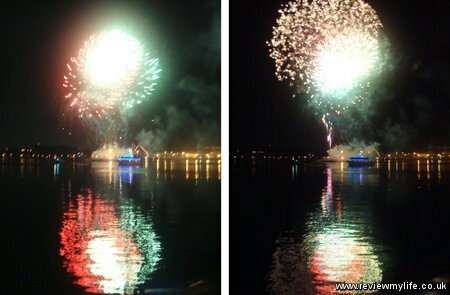 Copies of the company registration and a statement of profit and loss of the recipient organization. Materials showing the business substance of the recipient organization. A diploma or certificate of graduation with a major in the subject regarding the activity of the person concerned, and documents certifying his or her professional career. Documents certifying the activity, the duration, position and the remuneration of the person concerned. Here is the paper work I actually needed. The first two are from this ‘Application for Change of Status of Residence’ PDF linked from the change of status page. That is 4 sides of A4, and pretty easy to fill in. You’d probably fill in the ‘applicant’ part and your company would fill in the ‘organisation’ part. Maybe these 4 sheets of paper satisfied parts 2 and 4 of the list of required documents above for my application? 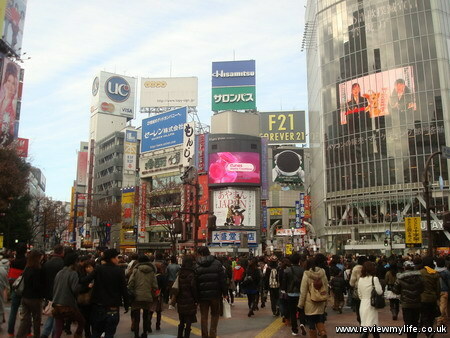 Or it could be that Tokyo immigration is quite relaxed? The ‘copies of company registration/profit and loss…’ consisted of a single sheet of photocopied A4 paper which listed the company name, gave a few details of the company profit, and had the company seal on it (photocopied – not an original seal). And that was all I needed – 5 sheets of single sided A4 paper. The list of documents does mention needing a degree certificate, but I was never asked for mine. Of course you need your passport and alien registration card as well. 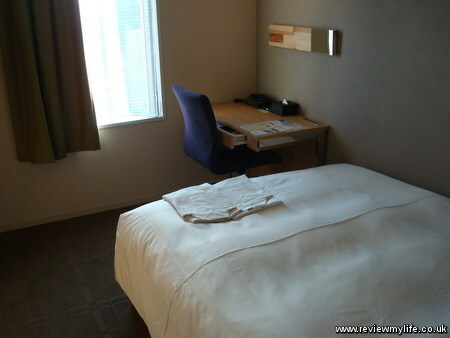 To apply I went to the Tokyo immigration centre which is located on an island near Tennozu Isle Station. 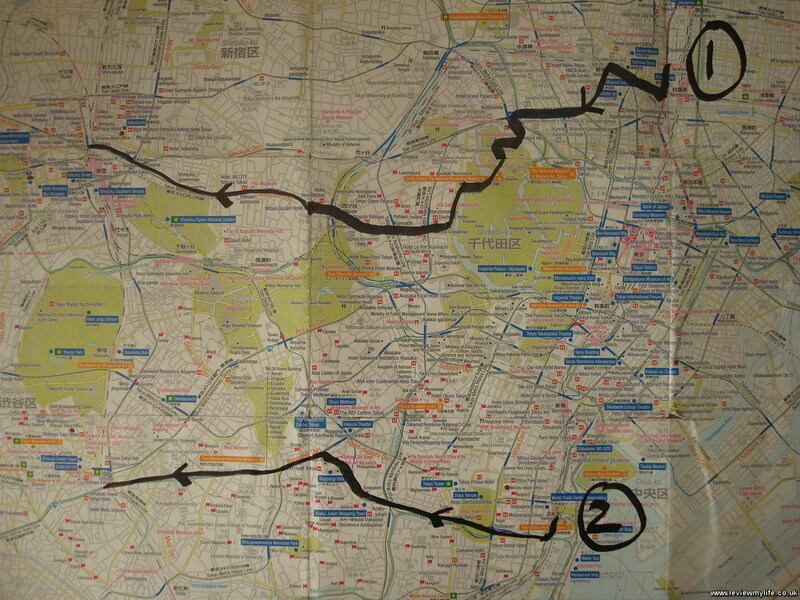 There is a detailed description of how to get to the centre on the ‘Way Way in JAPAN! ’ blog. 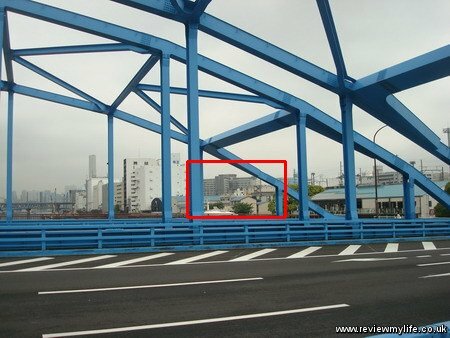 Or if you want the short version find the blue bridge near the station, and if you look North East you will see the Tokyo immigration building (highlighted in red). I went just before the Golden Week holiday, they were obviously expecting a lot of people as they had signs up asking people to avoid making any applications at this time if they could wait. I went in anyway, and headed upstairs to the application counter. There was first a 10 minute queue to be seen by someone who had a quick scan of my documents. She seemed happy that I had the correct ones so she gave me a numbered ticket. It was about 2:45pm and I was given number 580. There were hundreds of other people in this area of the building. The current number on the screen was 325, so there were 250 tickets to go before mine! It is good that they do a quick screening of your forms and documents before issuing you a ticket, as it would be terrible to wait for ages for your number to be called, only to find out that you are missing something obvious. I had plenty of time so I had a walk around, and bought and ate some food. I was able to calculate the rate at which they were getting though the tickets. They had all 6 counters fully staffed and were getting through about 1 ticket per minute. At 4pm they stop issuing new tickets for applications, but they will keep calling up the numbers until they have serviced all the tickets. 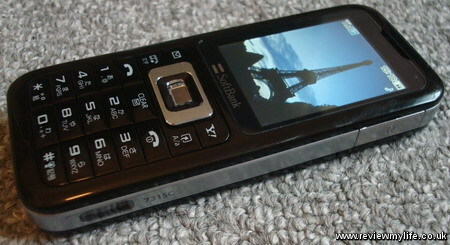 After about 3 hours 25 minutes my number was called! I handed in my forms, passport and alien registration card. The lady on the counter gave me a postcard, and told me to write my address on it. After I had done that she told me to sit down. After nearly 10 minutes (I saw her discussing something with another employee) she called me back up. She had stamped one of the pages in my passport with an ‘Application’ stamp, and had stapled in a leaflet explaining what happens next. A judgment on your application for change of status of residence will be made approximately within a month. Please be advised that it may take more time depending on a case. When no notice is given after 30 days of the expiration of your period of stay, please visit the Tokyo Regional Immigration Bureau, and confirm the status of your application before 40 days have passed since the expiration date. (Note) Those who applied for change of status of residence may extend their period of stay until the earlier of either the date when a judgment on the application is made, or the date when two months have passed since the expiration of their period of stay. Please be advised that you are recognised as an illegal resident and subject to deportation procedures two months after the expiration of your period of stay, even if a judgement on your application has not yet been made. I only had about five weeks left of my current residency status, so I was keen to know how long it would take to get my results. The lady though it might be about three weeks, but she said it could take longer. I then aksed about what would happen if my current residence status expired before I got my result. I don’t think she understood my questions, even after I tried to rephrase it three times. And I didn’t understand any of her answers. Don’t expect the immigration staff to speak good English. If you need English help before or after applying there is a help centre on the ground floor with staff that have a higher level of English. Later when I got home I tried to decode the leaflet. I worked out that it meant that you could stay for up to two months beyond the expiry of your current period of stay *if* you were still waiting for a result. But that if you don’t get any result within 30 days of your period of stay expiring, you should visit them before 40 days have expired since the end of expiry of your residence status. And very importantly – it stated that overstaying by one day from this two month grace period would cause you to become an illegal resident. Comment 1 on my Japan visa FAQ page will give you an idea of the kind of trouble you can get yourself in if you try overstaying by even one day. Here is some official information about the special exception to the period of stay from immigration. If you are applying for an extension at Tokyo immigration here is the text of the leaflet that they are currently stapling into passports. 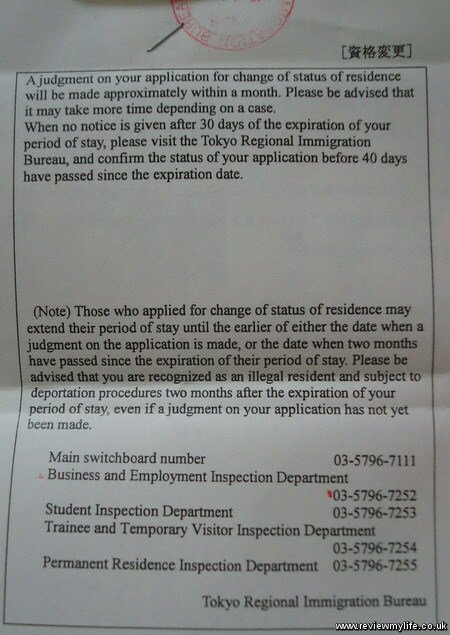 A judgment on your application for extension of period of stay will be made within the following period unless any special notice is given by the Tokyo Regional Immigration Bureau. Make sure to visit the office of the Bureau within the specified period. Please contact the Inspection Coordination Department of the Bureau if you cannot do so. Please bring your (1) passport and (2) foreign resident registration card with you when you visit the office. 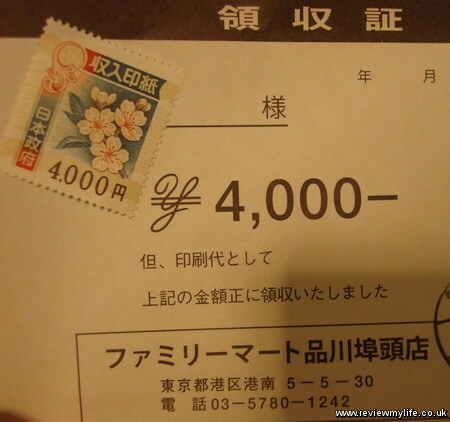 A fee of 4,000 yen is required when your application is permitted. (Note) Those who applied for extension of period of stay may extend their period of stay until the earlier of either the date when a judgment on the application is made, or the date when two months have passed since the expiration of their period of stay. Please be advised that you are recognised as an illegal resident and subject to deportation procedures two months after the expiration of you period of stay, even if a judgment on your application has not yet been made. The dates given are about a month from the day you apply. The ‘special notice’ refers to them sending you the postcard that you filled in. 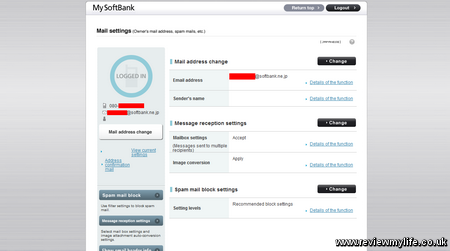 So if you get the postcard you have to visit them before the date on the postcard. If you don’t get the postcard then you have to visit them between the dates on the leaflet. They’ve made the English in these leaflets way more complicated than it needs to be. Perhaps they should ask some of those native English speakers in the waiting room to help them rewrite it in simple English. After making the application you then have to wait. I’ve found that the expected processing times they tell you at immigration are usually the worst case times. There is a good chance that it will be done in about two weeks or less. 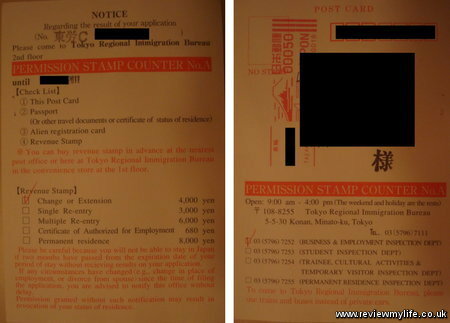 A friend of mine went to Tokyo immigration late in the morning on Monday, and got the notification card on Saturday – less than a week! You (probably) don’t need to worry about whether they will grant your change of status/application. If they accepted your documents, and you have a sponsoring company who wants you to work then your request should be granted. About three weeks later the postcard arrived! 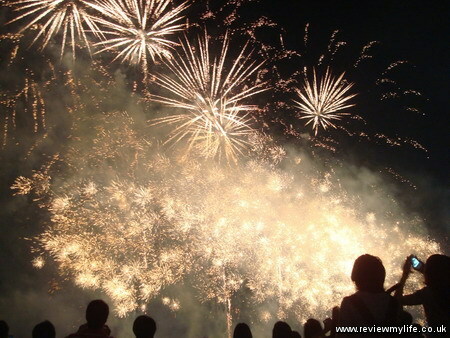 It would probably have only taken two weeks if it were not for the Golden Week holiday. Here is my postcard. As they had ticked the box to get ¥4000 of revenue stamps I was pretty sure that I had been granted the change of status. If there is a problem with your application they’ll send you a letter asking for more information, or scribble something on the postcard, rather than ticking one of the revenue stamp boxes. 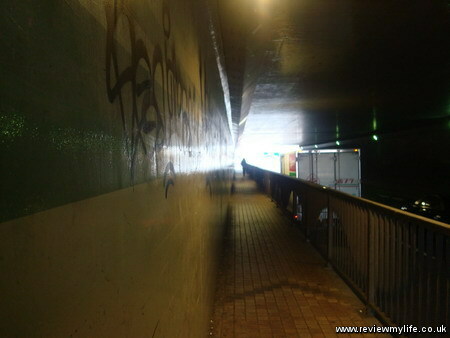 I went back to Tennozu Isle Station, and walked to immigration again. I started queuing from 8:15am, and they opened the doors at 8:30am. 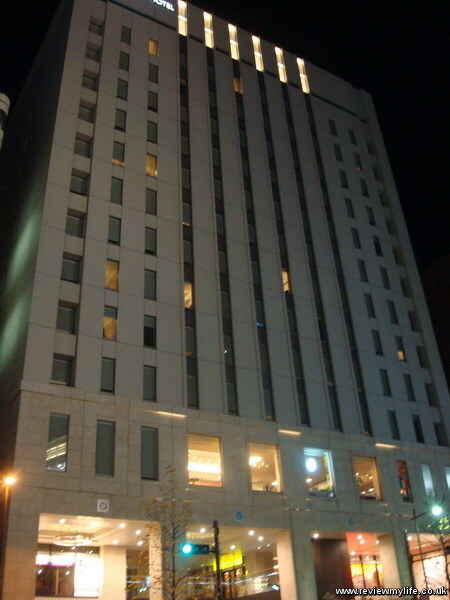 First I went to the Family Mart on the ground floor to buy my revenue stamp. 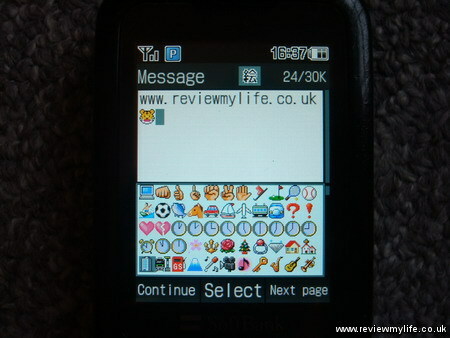 I then went upstairs to the permission stamp counter. I waited in the short queue, handed over my passport and postcard, and was given a numbered ticket. The queue to get your numbered ticket opens at 8:30am, but they don’t start calling up numbers until 9:00am. At about 9:15am my number was called. The lady handed my passport to me and showed me the page showing that my change of status had been granted and that I had been given a three year period of stay. They must have been feeling generous! 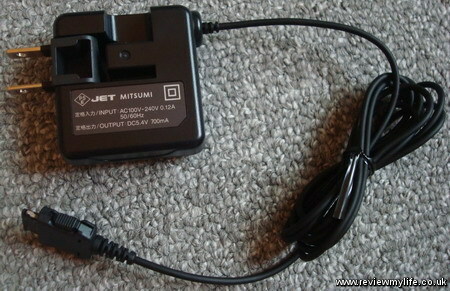 The application stamp in the passport had been marked as ‘USED’. 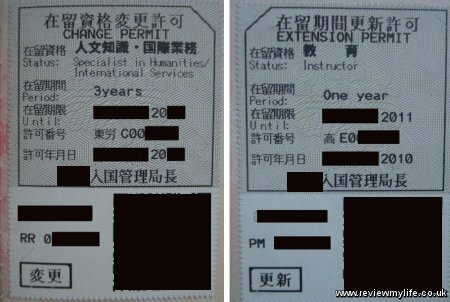 And here is a photo of a change of status sticker, as well as an extension sticker. 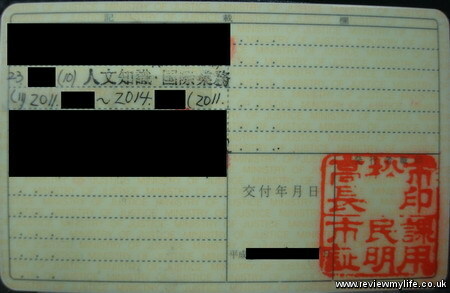 If you change your status the one year/three year new residence status starts from the day you collect your sticker. If you have applied for an extension to your current status the one/three year extension starts from the end of your current period of stay. With my change of status granted I went back down to the Family Mart, bought another revenue stamp and went back upstairs to get my Japan re-entry permit (¥3000 for a single and ¥6000 for a multiple). One year or three years? 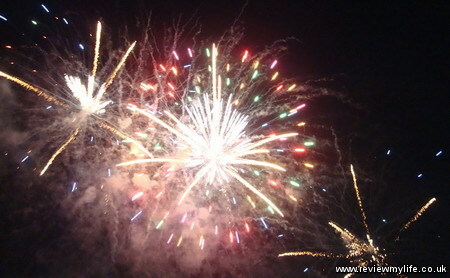 You need to have been granted several one year periods of stay before getting a three year one. They want to wait for evidence of a history of having paid all your taxes before granting it. The company you work for may play a factor. The country you come from may influence the decision. It depends on whether the immigration official is having a good day or a bad day. They roll a dice and randomly select what to give you! It depends on which immigration bureau handles your request. The type of job you are doing makes a difference. It depends on whether you tick the one or three year box on your application. The truth may be in there somewhere, but no one really knows. For obvious reasons their criteria for deciding what length of stay to grant are secret. I can however say that it is not always necessary to have been granted several one year periods of stay, or to have paid taxes before getting a three year period of stay. 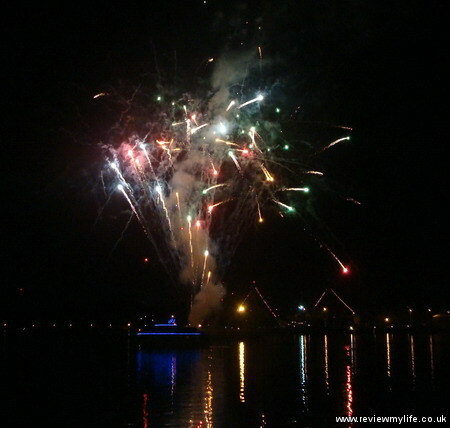 I spent only one year in the country on a WHV (and I did no work – therefore paid no taxes – it was a pure holiday), and I was granted a three year period of stay with my very first application. Don’t forget to get your alien registration card updated at your local city office within two weeks of being granted your change of status / extension. They will write the new details on the back of the card, and then put a clear holographic security sticker over the writing. 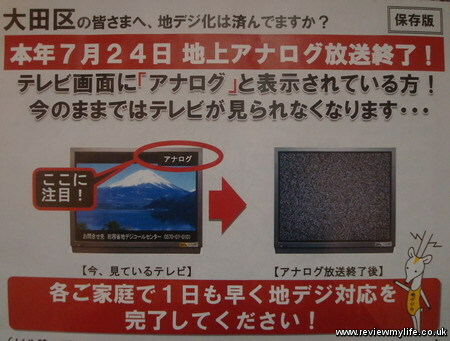 On 24th July 2011 Japan will switch to digital TV. 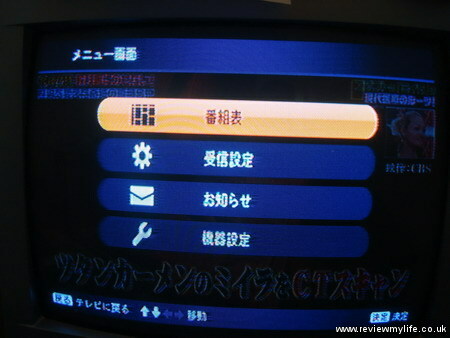 During the build up they put a message in corner of the analogue channel saying ‘Analog’ in katakana (アナログ), and at the bottom of the screen was a reminder that the analogue TV will soon be switched off. 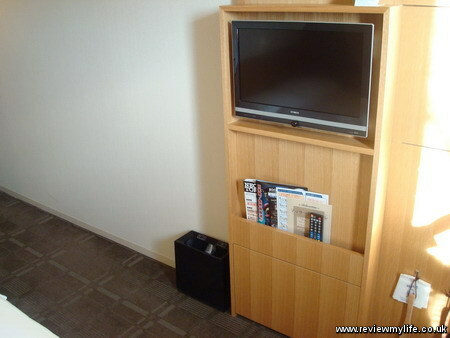 By moving to digital you can get access to of extra Japanese TV channels of variable quality. Here is a notice that was put through our letter box reminding of the digital switchover. On the back they even had a helpful map telling you which direction to point your TV aerial in. With this in mind I thought it was about time that I installed the digital TV box that had been left in my flat by Leo Palace. 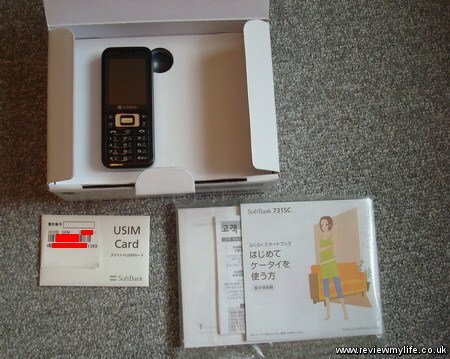 It was brand new, in its box, and complete with installation instructions fully in Japanese. 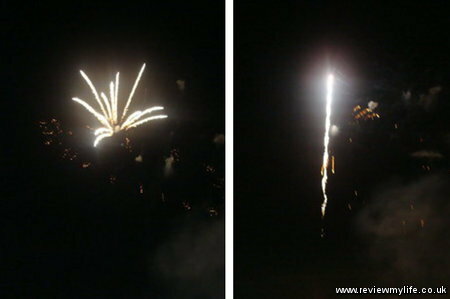 Fortunately the pictures were easy to follow. 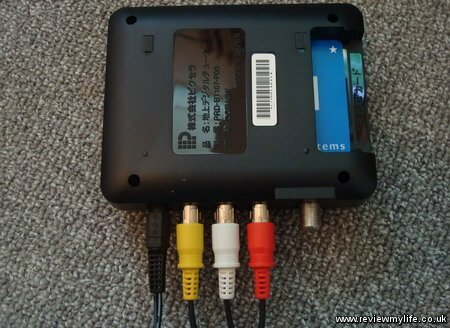 To reveal a black digibox, some cables, a remote control, batteries, and some instructions. The first thing I had to do was to insert the conditional access card into the digi box. 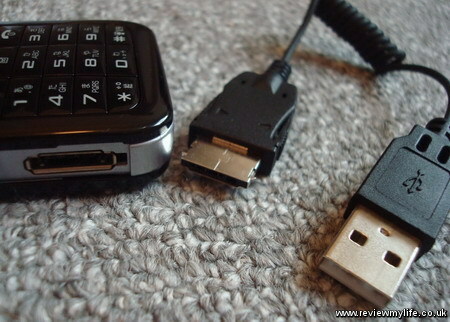 Then I plugged in the cables and connected them to the TV. 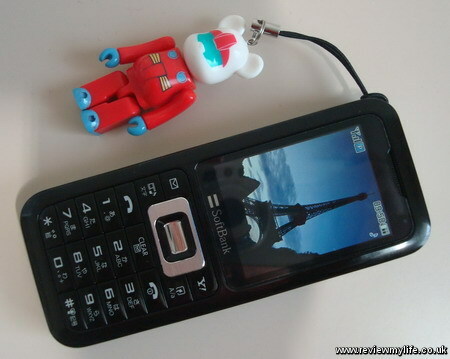 Here’s the remote control. 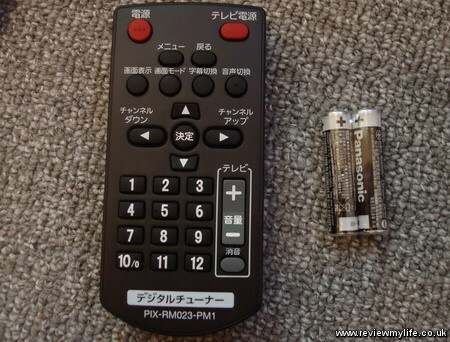 As well as controls for the digibox you can programme it to adjust the volume, and switch on/off your TV. This was the hardest of the steps as I couldn’t work out what the instructions were trying to say, but with a bit of trial and error I got it working with the TV. 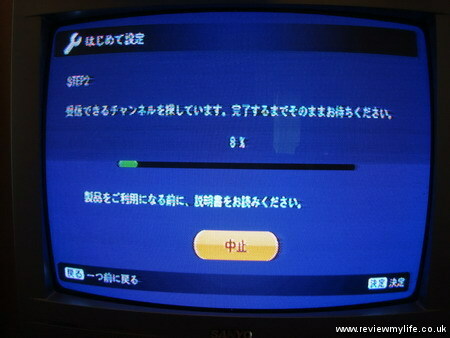 Next I turned it all on, switched the TV to the AV channel, and pressed the button to start the channel scan. After scanning it got about 12 channels. Some are ‘proper’ channels with a channel number, and some seem to be supplemental channels that don’t get a proper number. Here is a list of the channels I got, along with a link to the Wikipedia page of each. 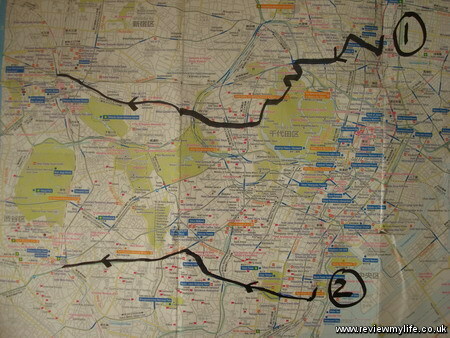 The channels you get will vary from area to area. 1 011 NHK G NHK General TV from Japan’s public broadcaster. 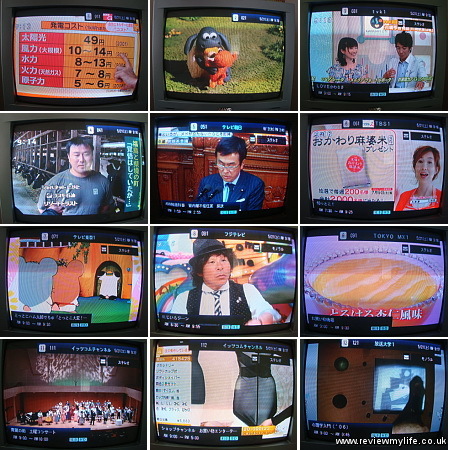 3 031 tvk 1 TV Kanagawa – local station. 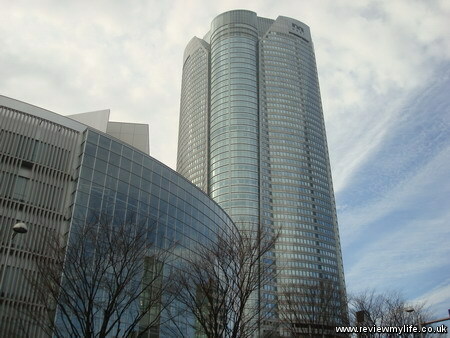 5 051 TV Asahi You can visit the HQ in Roppongi. 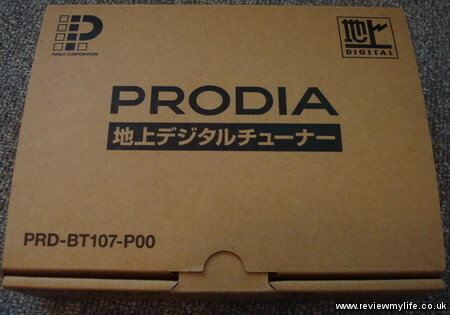 6 061 TBS 1 Tokyo Broadcasting System. The hardest working man on TV – Monta Mino, does the breakfast show. 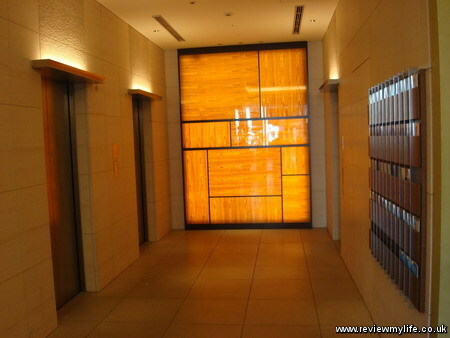 7 071 TV Tokyo 1 Specialises in anime. Here is the main menu screen. 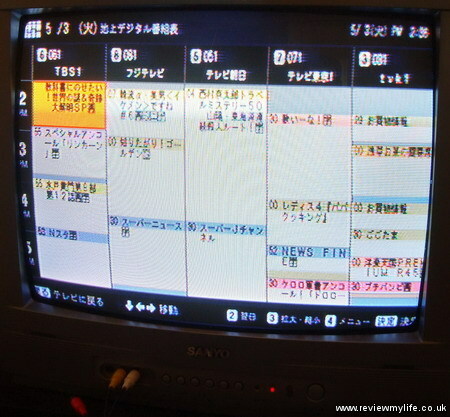 Selecting the first option brings up the TV guide. This is the TV guide, which is fairly self explanatory; you scroll through it to see the programs and can jump to any of the channels from here. In my case, I just turned the TV off. 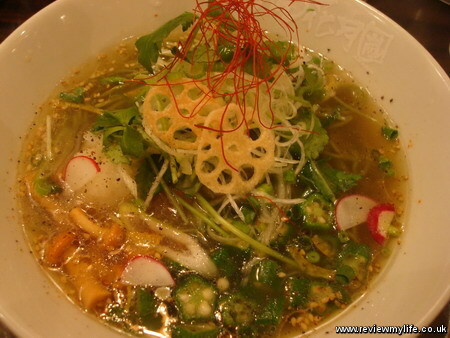 Once a year the ramen chain Kagetsu produces a limited edition veggie ramen dish that is served for only a month or two. This year’s 2011 vegetarian ramen started in April, and it is delicious! 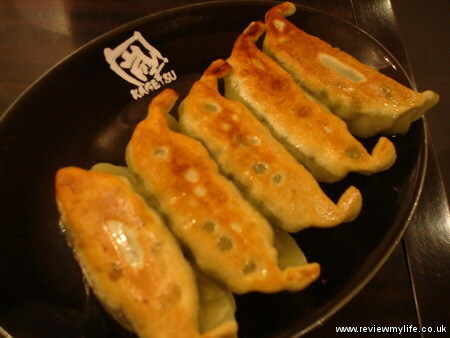 As well as the ramen they have also produced a vegetarian gyoza side dish. To try it visit your local Kagetsu quick before it is over. They are heavily promoting this dish right now with flags, posters and staff t-shirts. My local Kagetsu looks like this, and your local one probably looks similar. To find your local one you can look at the Kagetsu ‘Shop List ’, which is all in Japanese, but if you can’t figure it out Google Translate may be of some help. When you go in you’ll need to pay for your food and drink using one of these machines. You don’t pay the staff direct for your food. Put your money in first. 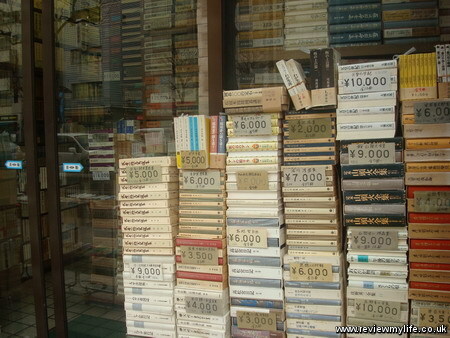 The machines takes coins from ¥10 and above, as well as ¥1000 notes. It doesn’t take larger notes so make sure you have enough change. On this machine the buttons for the veggie ramen and gyoza are on the second and third rows at the very left. 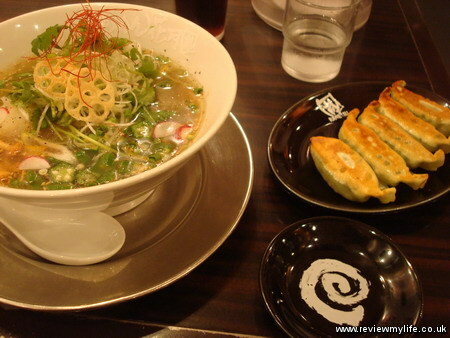 The veggie ramen are ¥750, and the veggie gyoza are ¥300. The drink buttons are on the bottom right. 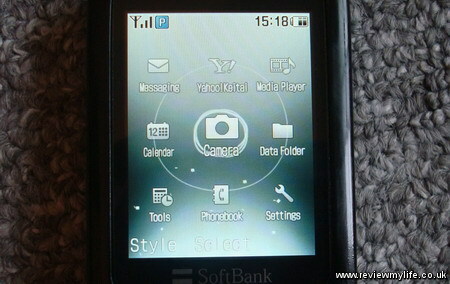 It is fairly obvious from the photos on the machine. 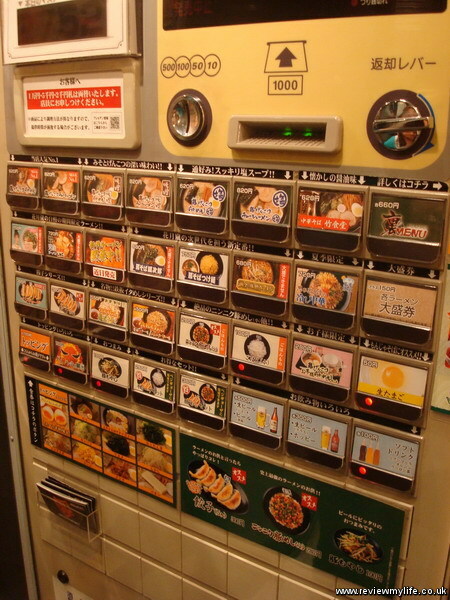 For each button you press you get a paper ticket, and when you have paid for all your food you hand the tickets to a member of staff and sit down. They have table seating areas for groups as well as benches for people who are eating by themselves. There are various condiments on the table (soya sauce, chilli sauce, dashi, etc). If you are vegetarian make sure you don’t put the fish sauce on your food. The lady in all the promotional leaflets, posters, flags and t-shirts is 未唯mie, a Japanese actress and singer. The advertising for this veggie ramen is aimed at health conscious women, rather than vegetarians. These veggie ramen dishes are much lower in fat, and higher in vegetables than traditional ramen, so the advertising pitches them as a healthier option. After a short wait the veggie ramen and gyoza arrive. First here is a close up of the ramen. It contains about 30 different kinds vegetable! It also contains some kind of algae that is meant to be good for you. It isn’t obvious from the photo, but under all those veg are thin green noodles (the ramen). You can eat the noodles and veg with your chopsticks, and there is a spoon for the soup. And here are the vegetarian gyoza. Like the ramen these are delicious. One tip – I recommend separating the gyoza when you get them otherwise they tend to stick together when they cool down. Both dishes are really tasty, and it is just a shame that they don’t keep a veggie ramen dish permanently on the menu. Most people who were coming into this branch of Kagetsu seemed to be ordering this veggie dish rather than one of the usual meat ramen dishes. Make sure you get to eat your veggie ramen before it is gone! 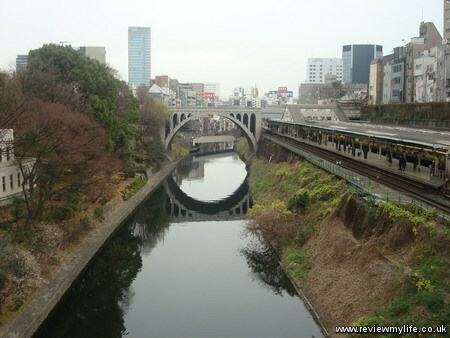 Is is near the end of April now and almost all the cherry blossoms in Tokyo are gone. But in the second week of April when I went to see them properly they were everywhere. 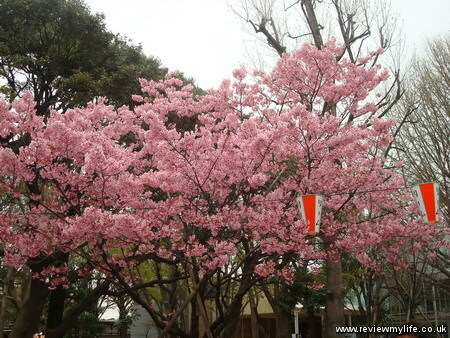 I visited two well known cherry blossom viewing places, Sumida Park, and Ueno Park. 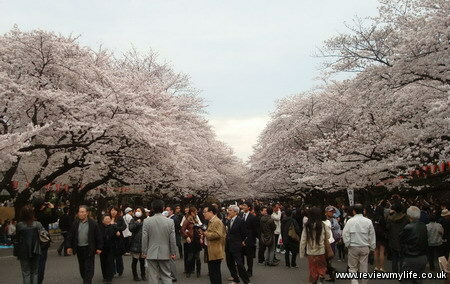 The Japanese get very excited about cherry blossoms. 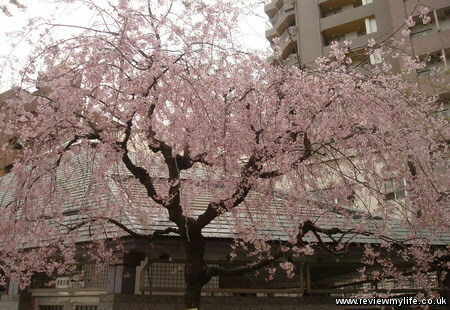 They get a warm up to the cherry blossom season when the plum blossoms appear in February, but the cherry blossoms are the main flowering event of the year. 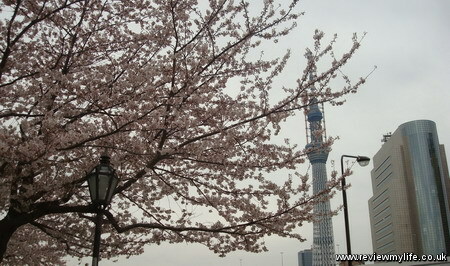 First I visited Sumida Park which has cherry blossoms along both sides of the river. 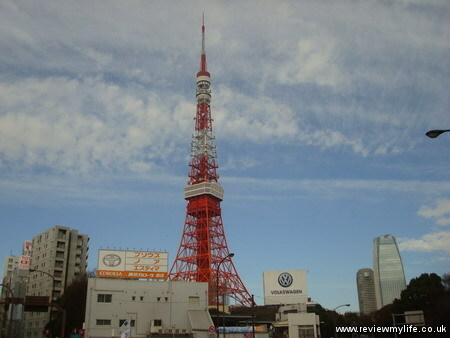 In the background above you can see the Tokyo Sky Tree which is being built. 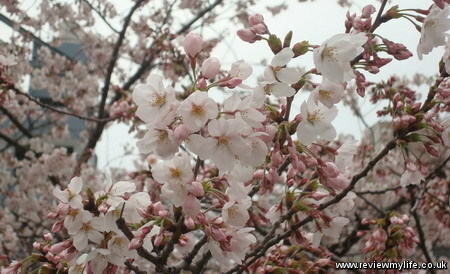 Below is a different type of cherry blossom to the standard ones. Each year at this time there are cherry blossom forecasts on TV that show you the spread of the blossoms through the country, so you can pick the right time to view them. They are only in full bloom in any one area for a few weeks. 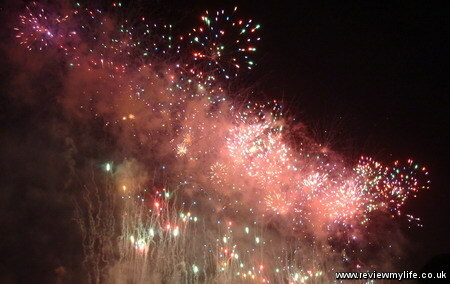 Although all the flowers are pink, there is a big range in the colours, from very light pink, to very stong pink colours. There were plenty of people in Sumida Park, but there were even more in Ueno Park. Lots of people were taking a break from work to have a look at the flowers. 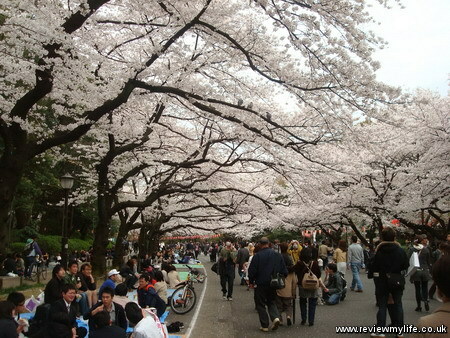 Many people and companies organise cherry blossom parties, where they will have some food and drink whilst sitting on a plastic sheet under the cherry blossom trees. 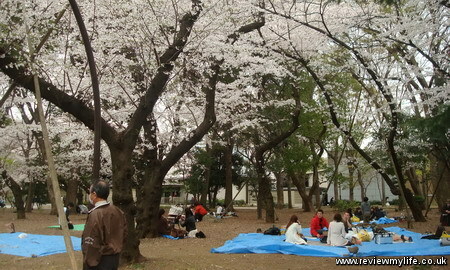 These are called ‘hanami parties’ – hanami means flower viewing. 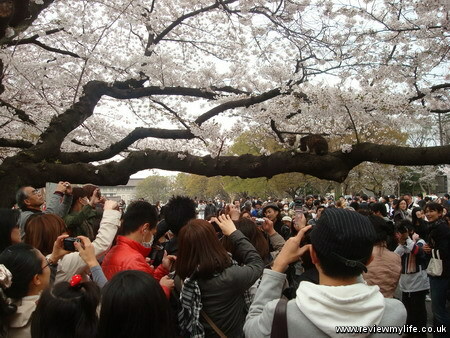 I spotted a large group of people crowding round one particular tree taking photos. On closer inspection it turned out that there was a cat in the tree. Perhaps he had gone up there for a quite rest, and was now regretting being the centre of attention. 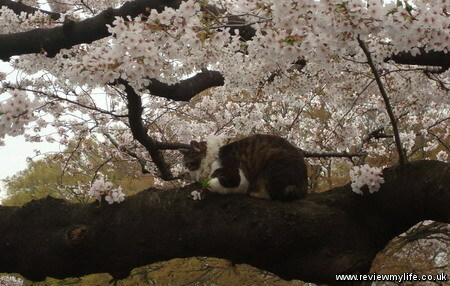 If you are in Japan at cherry blossom time you can’t fail to spot them. They are planted everywhere, from parks, to gardens, to government buildings. For much of the year these trees look very bare, but for just a few weeks, they are one of the most famous sights in Japan. 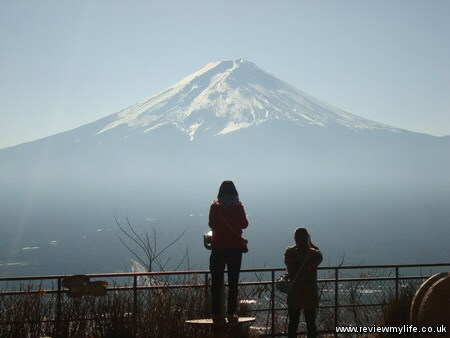 Mount Fuji (known as Fuji-san) makes one of Japan’s classic and most famous images. It can however be notoriously difficult to view as clouds and mists often obscure it (see the film Cherry Blossoms for an example). Winter can be a good time to view it as the air tends to be clearer. I went at the end of December. Your best bet for seeing it is to go on a clear, dry day. 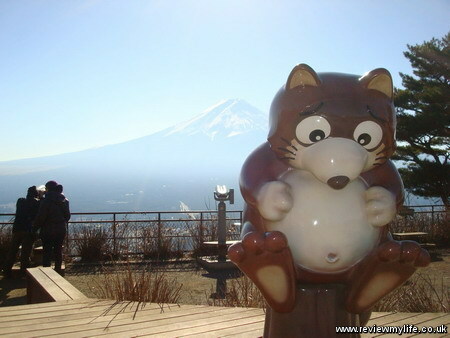 There are webcams positioned at various places looking towards Mount Fuji. 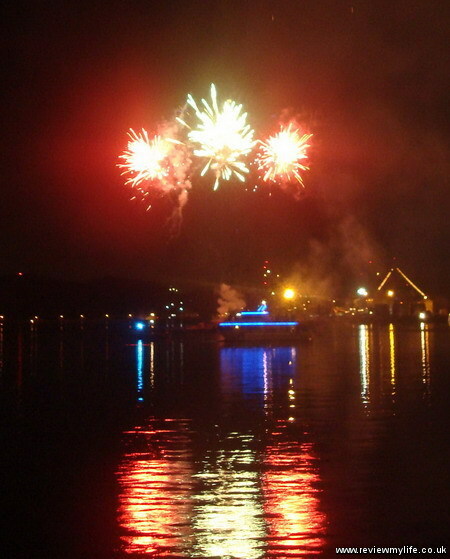 They can give you a good indication in advance of what the view will look like. 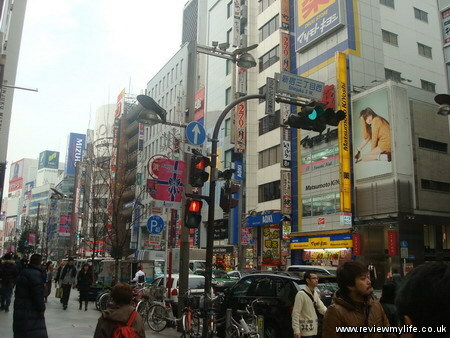 To get to Kawaguchiko station (near Mount Fuji) from Shinjuku station in Tokyo you have two main options. 1. Get the Chuo Line and then the Fujikyuko Line trains which will cost between ¥2390 and ¥3800 depending on whether you get the Chuo line rapid service (1hr 40mins + 50mins) or the Chuo line limited express (1hr + 50mins). 2. 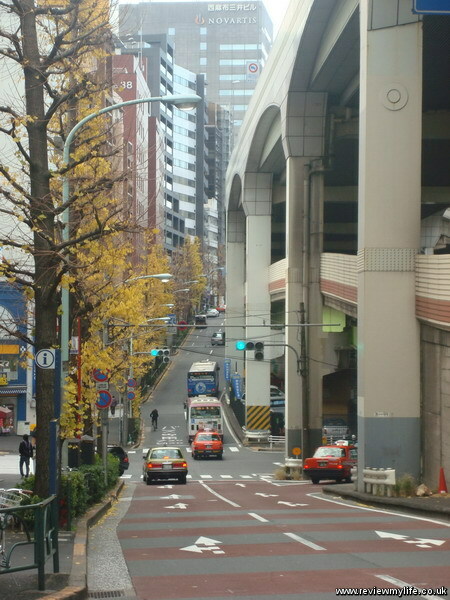 Or you can go for the Chuo Highway Bus which will get you there direct from Shinjuku in 1hr 50mins for ¥1700. 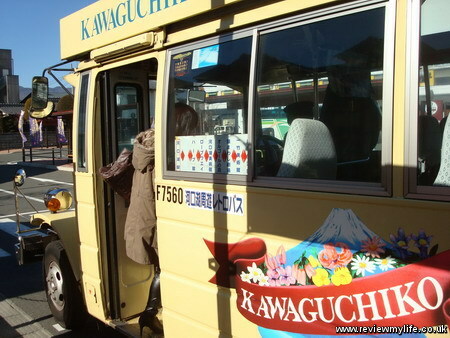 If you want to climb Mount Fuji (which you can only do in Summer) you’ll have either get a shuttle bus/taxi from Kawaguchiko station or the Chuo Highway Bus can take you all the way from Shinjuku to the Kawaguchiko 5th station. The information we got from the tourist office estimates that it would take you about 5 hours on the way up, and 3 hours on the way down. 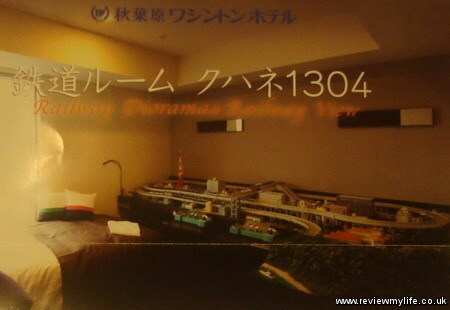 You can also get a piece of paper from the Tokyo Tourist Information Centers which shows you all the transport options between Tokyo and Mount Fuji. We got the bus from Shinjuju. We were able to see Mount Fuji after we had travelled about 20 minutes from Shinjuku. 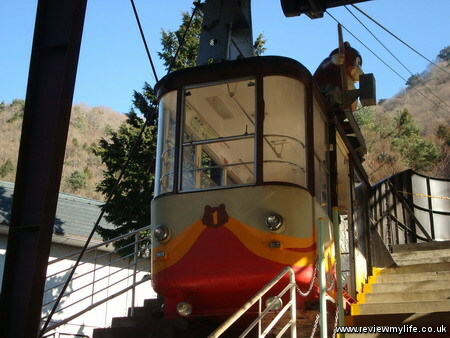 Once got to Kawaguchiko station we got the Retro Bus to the Mount Kachi Kachi Ropeway. 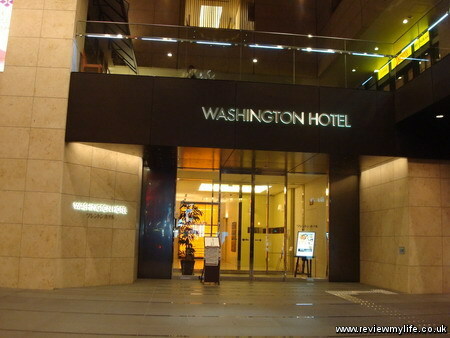 We bought a discounted ticket from here which let us go on the cable car, and on the Ensoleille sightseeing boat. 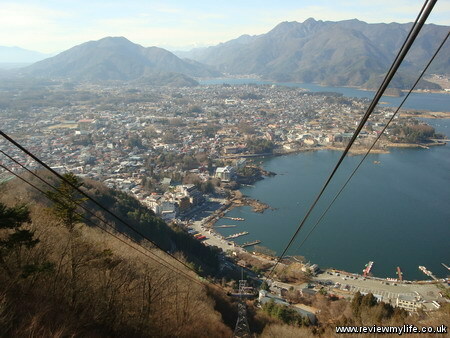 The cable car takes only a few minutes to get you to the top of the (small) mountain. 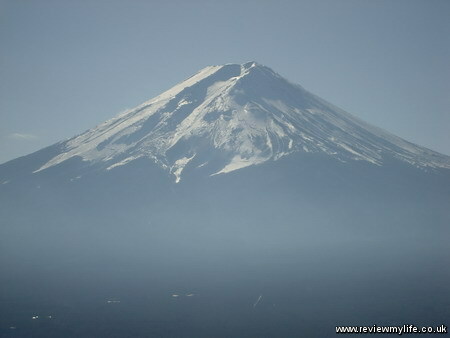 On the way up Mount Fuji is not visible at all as it is obscured by Mount Kachi Kachi. 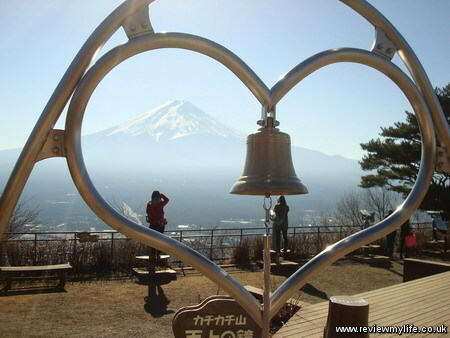 However once at the top Mount Fuji is clear to see from the various viewing areas. 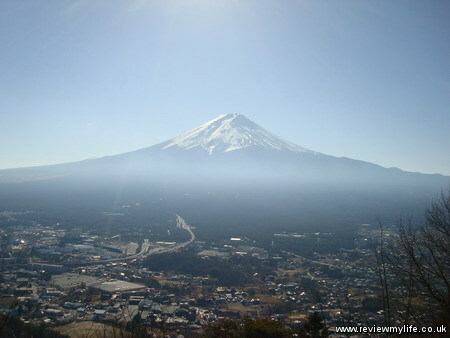 Even today which was a bright sunny day, there was still a ring of mist around Fuji. There is a bell you can ring and some kind of mascot at the top (not sure who he is). 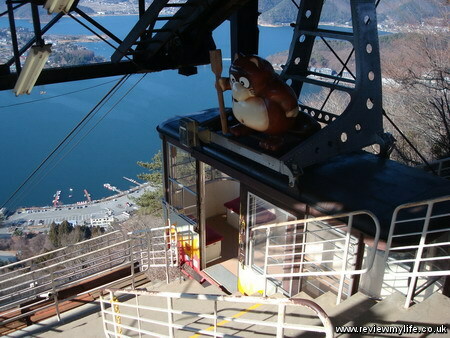 Then we got the cable car back down the mountain and made the short walk to the lake. 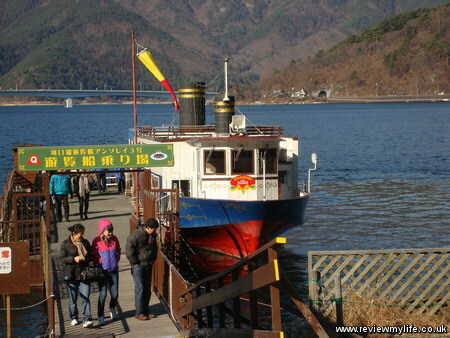 To finish off our Mount Fuji viewing we got on the Ensoleille sightseeing boat for a 20 minute sail on Kawaguchiko lake. 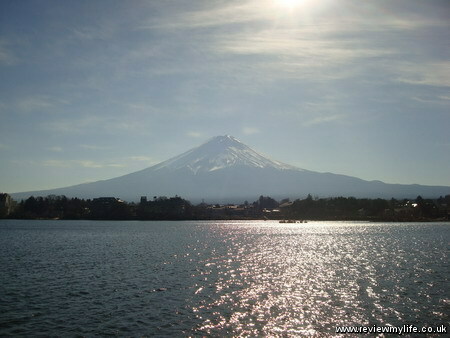 The view from the lake is considered to be one of the classic Mount Fuji views. 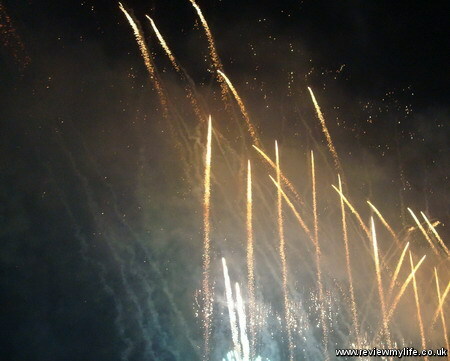 On New Year’s Eve most of the major cities around the work have large free organised fireworks displays in the city centre. Unfortunately Tokyo doesn’t – at least not in the main city. 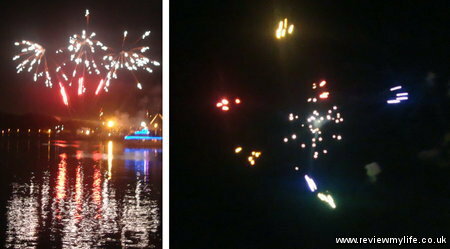 There are several paid displays if you are prepared to travel a bit outside the centre, but if you made the journey to Yokosuka (横須賀市) in Kanagawa prefecture on 31st December 2010 you could see the fireworks for free. From Tokyo JR station it took over an hour to get to Yokosukachou station (needing two trains), from where it was just a five minute walk to the fireworks area. As we were there early we went for a walk around the park where there were many stalls serving hot food and drinks. There were lots of Japanese food stalls, and even a stall claiming to serve ‘American Food’. 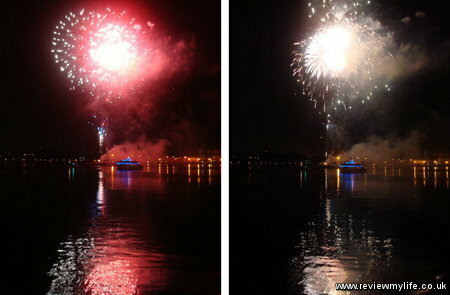 The fireworks were being launched from the Tokyo Bay near to some navy ships that had been decorated with lights. There were three submarines in the water. 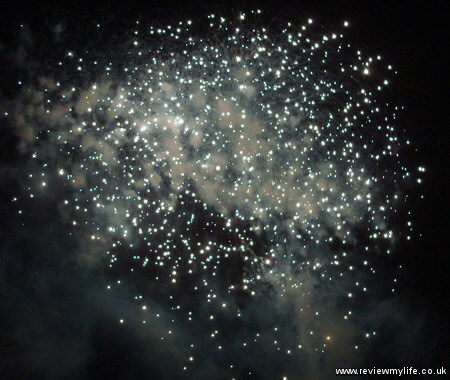 One had ‘2010’ written on it in lights, and as soon as it became 2011 the lights changed to ‘2011’. 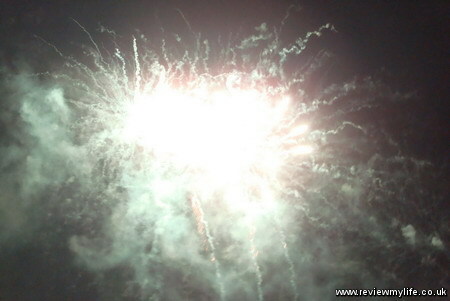 The fireworks display then started. 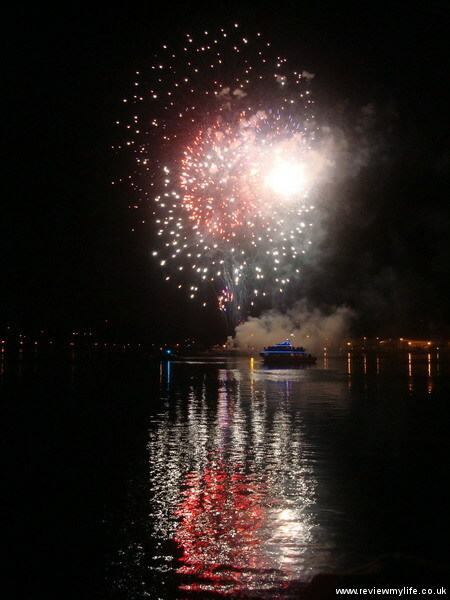 Despite using an old, cheap digital camera that I was holding in my hand I still managed to get some good shots of the fireworks reflected off the water. 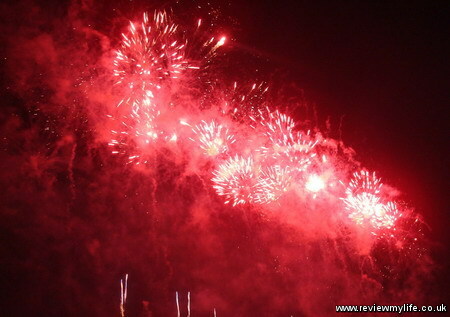 The display lasted a bit over five minutes and the mostly Japanese crowd watched very politely. 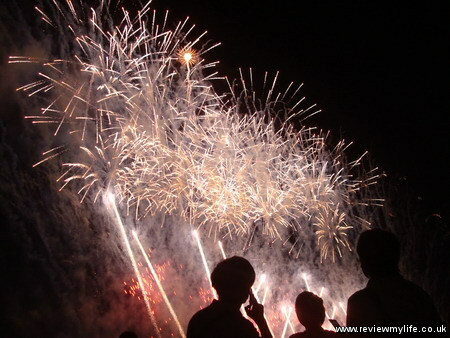 Unlike in many other countries where people drink to excess on New Year’s Eve, in Japan people either don’t drink, or they just have a very small amount. 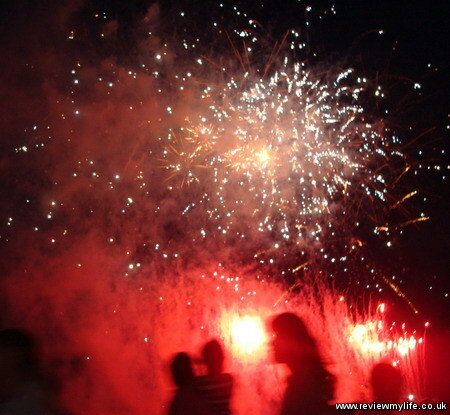 There was no sign of any rowdy behaviour during the whole evening. 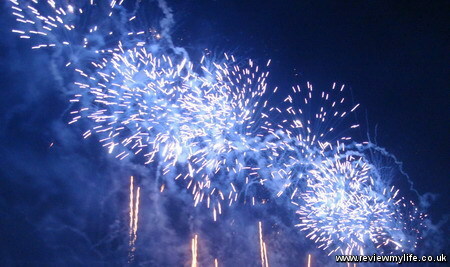 After the display finished there was time to get the second to last train back to Tokyo. 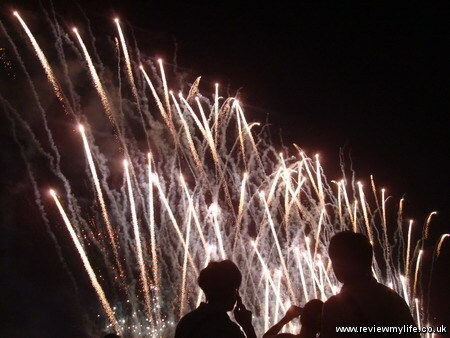 If you hang around too long after the fireworks you’ll miss the last train, so make sure you know where you are going after the fireworks finish.